ORGANISATIONS have until 12 November 2018 to apply for funding to improve cycling provision and facilities through the Cycle-Friendly Employer fund run by Cycling Scotland. 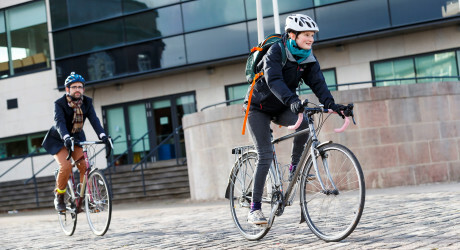 Cycling Scotland’s latest Attitudes and Behaviours survey found that 30 per cent of those identifying as everyday cyclists used their bikes to commute. With increased access to cycle paths and community links there are many workplaces that are ideal for cycle commutes, with a little bit of extra infrastructure. Information is available here: https://www.cycling.scot/our-programmes/cycle-friendly/employer.